Life is like advancing the lead. In Japan, the most popular MP is Kurutoga(Uni/Mitsubishi) IMO. At amazon.co.jp, Pentel Smash is the #1 mechanical pencil. I guess Pentel Smash is rarely sold at common local stores, so people buy it at amazon, so Smash is the champion at amazon.co.jp. (Kurutoga, Opt, or common 100JPY MPs are sold everywhere). I wonder which MP is popular outside of Japan? 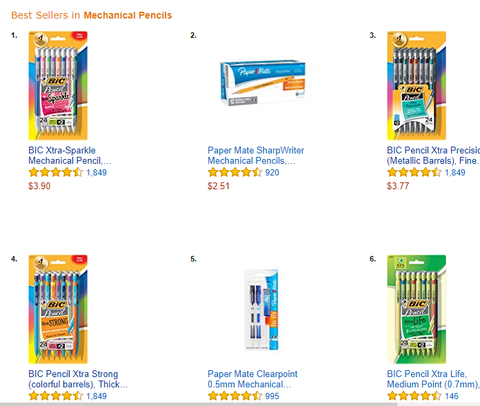 I headed to the Mechanical Pencil ranking page. * These images are from amazon.com. Then I surprised #1 pencil is ultra low priced. #1 is not the lead hardness, but sales ranking. 24 piece for 3.77USD or 3.9USD? Such a great deal. Judging from the reviews, it seems the quality is not so bad. I don’t have the BIC pencils though. >. I bought these as a cheap alternative to the wal Mart brand pencils that I had been buying forever which always broke by second or third period and I expected these to be the same but they weren’t. Omg Wal-Mart, The High Cost of Low Price. A WordPress Commenter on Hello mechanical pencil world! 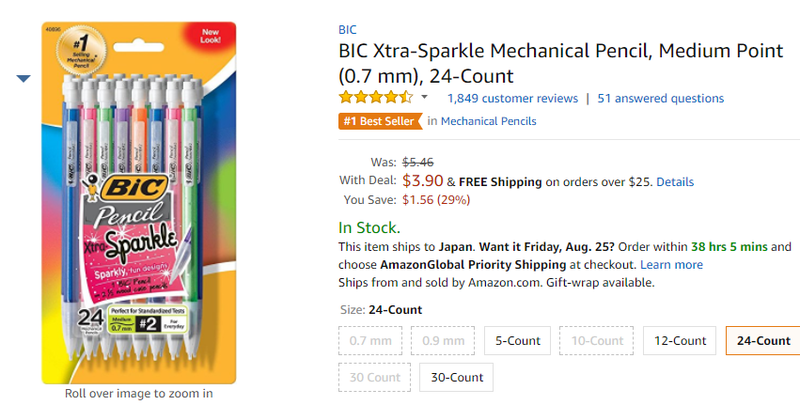 Copyright© A Mechanical Pencil Lover in Japan	, 2019	All Rights Reserved.